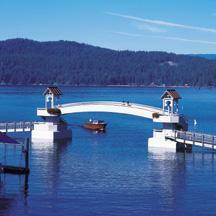 Welcome to The Great Northwest - North Idaho - There is a difference! Why not LIVE where you can VACATION ! 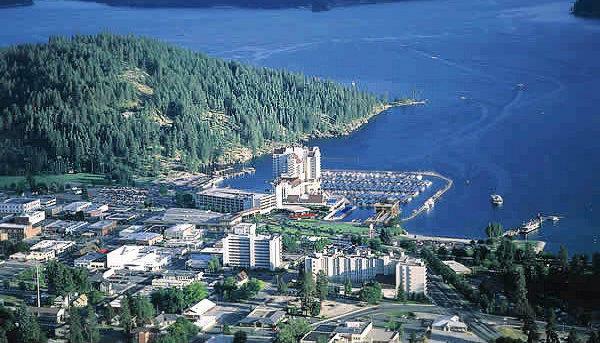 The Towns and Cities surrounding Lake Coeur d'Alene, Hayden, Hayden Lake, Post Falls & Rathdrum are abundant with world-class visitor amenities; Concerts, Theaters, Movie Theaters, Indoor and Outdoor Water Parks, Go Carts, Bowling, the Northwest's largest Theme Park, The world’s longest Floating Boardwalk, the world’s longest Gondola Ride, Silver Mine Tours, Pan for Gemstones-Gold-Silver, Boating, Fishing, Water & Snow Skiing, X-Country Skiing, Snowboarding, Snowmobiling, Hunting, Camping, Biking, Hiking, Rock Climbing, River Rafting, Boating, Sailing, Rowing, the list goes on..and on..and on.. Please contact PAM JANK, your North Idaho Real Estate Pro, Realtor®, with any questions and/or a private viewing of the available Real Estate Homes and Properties such as; Waterfront, Lake Front, Estate, Golf, Resort, Ranch, Acreage, Land, Residential, Homes, Houses, Condo, Townhouse, Townhome, Income, Duplex, Triplex, Four-plex, 1031 Exchange, Investment, Commercial, New Construction, Foreclosure, REO / Bank Owned Properties. You owe it to yourself to use a Negotiation & Marketing EXPERT when Buying, Selling and/or Referring. As you can see below, I am a highly Motivated, Educated and Designated Real Estate Professional with 20 years of Real Estate, Marketing & Technology experience that will definitely benefit you during the Buying, Selling and/or Referring process. Most great homes and properties are sold before they are ever advertised. 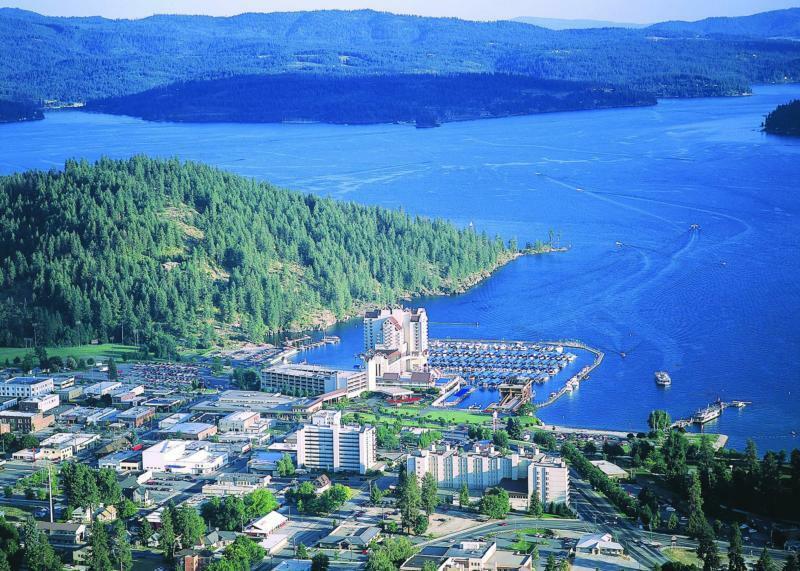 I'll give you the tech-savvy edge you need to Beat other homebuyers to the hottest new homes and properties for sale in Lake Coeur d'Alene, Hayden Lake, Hayden, Post Falls, Rathdrum and Surrounding areas by setting you up with your very own "PORTAL" to all multiple listings. Please browse my website for listings, relocation information, demographics, history, reports, maps and other important local real estate information. In addition, if you have any questions about buying or selling real estate in NORTH Idaho, call me today. Don't delay! Pam Jank - "Your North Idaho Real Estate Pro"
CRS (Certified Residential Specialist) - The Certified Residential Specialist (CRS) is recognized as the highest professional designation awarded in the residential real estate industry. A Nationally Recognized Professional Designation awarded by the council of residential specialists based on education and experience in residential sales. REALTORS® with the CRS are acknowledged for advanced study in listing, selling, investment, taxes and a proven record of experience in applied residential marketing. GRI (Graduate Realtor Institute) - is the mark of a real estate professional who has made a commitment to providing a superior level of professional services by earning the GRI designation. REALTORS® with the GRI designation are highly trained in many areas of real estate to better serve and protect their clients. ABR® (Accredited Buyer Representative) the benchmark of excellence in buyer representation. This coveted designation is awarded by the Real Estate Buyer’s Agent Council (REBAC), an affiliate of the National Association of REALTORS®, to real estate practitioners who meet the specified educational and practical experience criteria. RRS (Recreation & Resort Real Estate Specialist) The RRS designation speaks specifically and powerfully to the unique needs and practices of recreation and resort property sales and management. SFR (Short Sales & Foreclosure Property Certified Expert ) Make sure your Relator is Certified and Experienced in Short Sales and Foreclosures. Contact Pam Jank today! PPS (Previews International Property Specialist) Holder of this designation had to meet performance criteria based on successfully selling luxury properties and complete a prescribed certification course to earn the Previews Property Specialist designation. Only about 4.5% of all Coldwell Banker Agents hold this designation which includes a comprehensive marketing effort designed specifically for marketing luxury residential properties to affluent buyers worldwide. "A world leader in the marketing of luxury homes." Top Producer’s Club- Award is given in recognition of outstanding Volume in Real Estate Sales. President’s Circle- this Distinguished honor presented to a very small select group of the highest performing top sales agents associated across the country. Circle of Excellence- Awarded in recognition of my continued commitment to education and outstanding service to the community as well as the real estate profession. International Diamond and Sterling Societies- Distinguished honor presented only to a select group of top sales associated across the country. WGA, Women's Gift Alliance - A Group of Local Women that have joined together to donate nearly $100,000 to our Local Communities each year and that number is continually growing.Contact me to see how you can share in the "Gift of Giving" to your community. Habitat for Humanity- I am proud to be able to participate in giving back to my community through helping Habitat for Humanity of North Idaho. We helped raise the necessary funds to build Habitat for Humanity homes for deserving families in North Idaho. Habitat for Humanity is a nonprofit organization that aims to eliminate substandard housing and homelessness worldwide by providing affordable housing to low-income families. Hospice of North Idaho- Fundraising and event volunteer - Hospice of North Idaho provides compassionate care to thousands of dying patients and their families. This care makes a remarkable difference in the lives of the terminally ill—walking with them during one of life’s most challenging transitions. Elder help- Volunteers helping Seniors remain independent in their homes. We Perform needed repairs and maintenance and health & Safety items in their homes and yards. We also provide firewood when available. Casa- The mission of Idaho CASA Association is to advocate for the best interests of abused and neglected children by supporting the development of quality Guardian services throughout Idaho. Community Food Banks- This year we contributed to providing new freezer storage and building 800 square feet of extra floor space for storage and work area for the Post Falls Food Bank. Wishing Star- Grant wishes to local children with life-threatening illnesses between the ages of 3 and 21. Click here: Anything and Everyting about Real Estate, Buying, Selling, Community Demographics and Events: Coeur d'Alene, Hayden Lake, Post Falls, Rathdrum and Surrounding Areas of Kootenai County, Idaho. "Your North Idaho Real Estate Pro"